Till a few years (7-8 years) back, Interactive Classrooms Technology (ICT) Infrastructure used to act as an item of customer delight for parents. But with the factors like progression of technology, advancement of hardware, market/competitive pressure, downward thrust by the affiliation boards, lowering of costs, changing pedagogy at school level, demands of the current education standard and keeping in view the student of today the ICT has graduated being a hygiene product among the school offerings. 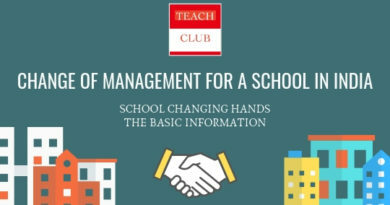 From a differentiation proposition it has evolved to being a must have.This blog will help you understand the players in this industry and a how to choose guide for the school management and administrators. The business started primarily for computer education, but the movement caught pace with the availability of cheaper hardware and adoption of computers by the normal folk. 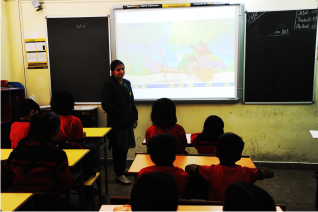 With projectors came a new wave, converting the study material and topics into multimedia animated features proving very effective in the learning of the students. Post this came interactive boards and later interactive remotes for students to answer question. In all of this also evolved the use of touch technology on these boards thus helping teachers with various options. 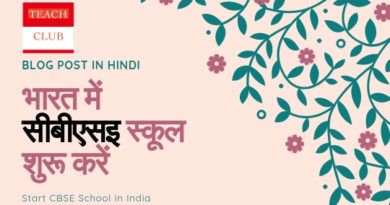 Online Portal for students to help them access all the content online. ERP for Schools – To help regulate fee and inventory etc. Educomp http://www.educomp.com/: The pioneer in the industry and possibly the one with the most exciting hardware solution is the most widely used service currently. Educomp “SMART CLASSES” has become a synonym for the entire industry vertical. 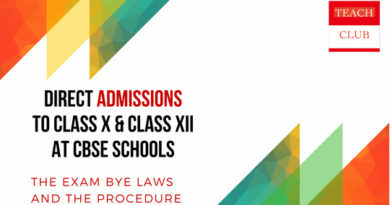 Next Education http://www.nexteducation.in/: A late entrant in the industry based out of hyderabad but has expanded rapidly and now offering products across the needs of the school. NIIT http://www.niit.com/services/SolutionsforSchool/Pages/SolutionsforSchool.aspx: One of the oldest in the business with flexible solutions and pioneers in the realm of Maths Lab and ERP solution. There are many more but more or less the market is flooded now ruling out the emergence of any new player in the future. There would be consolidation in the industry in the future given the offering has become a commodity for the schools. Initially a resource person from the company is deployed, but later based on understanding of finances stays or moves out. This person helps in mobilsing the usage of the services among the teachers. Depth of the network of the service – How is the company looking, would they be able to maintain the quality standard in serving you in future. Depth of the Content – Check the books being prescribed in your school and the topics covered, are they covered by the content provider. Teachers – Definition by itself cannot be bad, though it seems you while you make the teachers learn and adapt. Teachers mostly technologically challenged find it difficult to maneuver their way around the hardware thus causing the problem with the usage and mal-usage of the hardware. Cost – Under pressure the schools have to buy this solution. The revenue model by the existing players is yet to evolve on revenue per students and is limited to revenue per class. This makes it difficult for New Schools to get this in their premises. I read your blogs and they are really wonderful. Hope to see some more blogs from your end.